I found a third milkwort this year, Seneca snakeroot (Polygala senega)! I found a colony of Seneca snakeroot by a chalky seep in a river gorge. 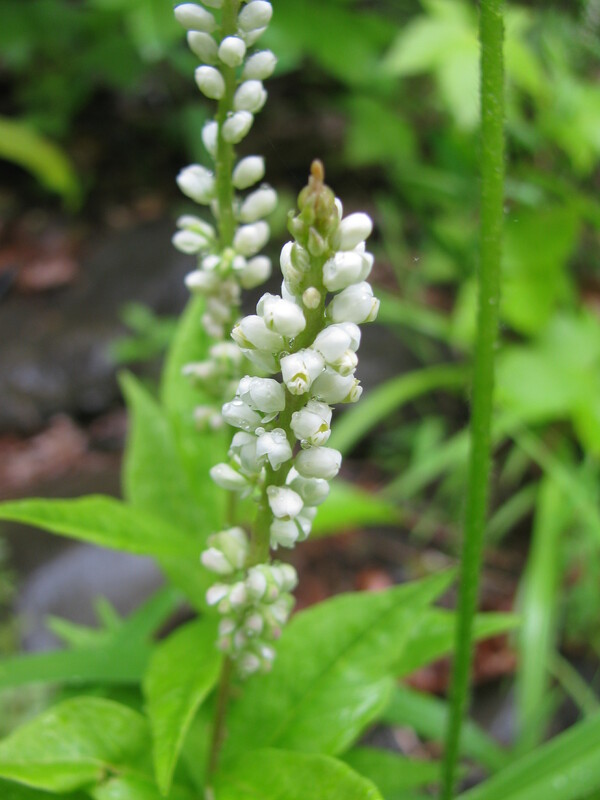 The underground, calcareous seep creates a cool, alkaline place for unique plants to grow, such as Seneca snakeroots (USDA Forest Service: Seneca snakeroot). 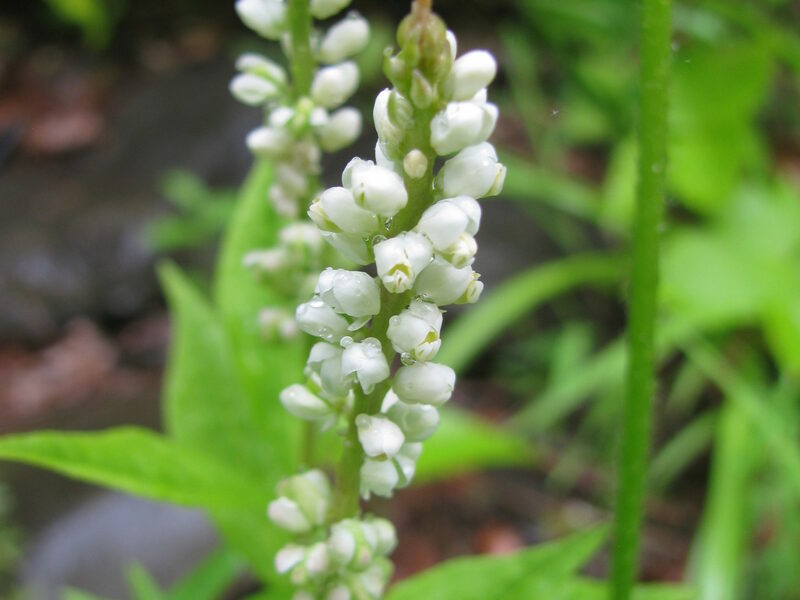 Seneca snakeroot is in the milkwort or polygala family (the Polygalaceae). 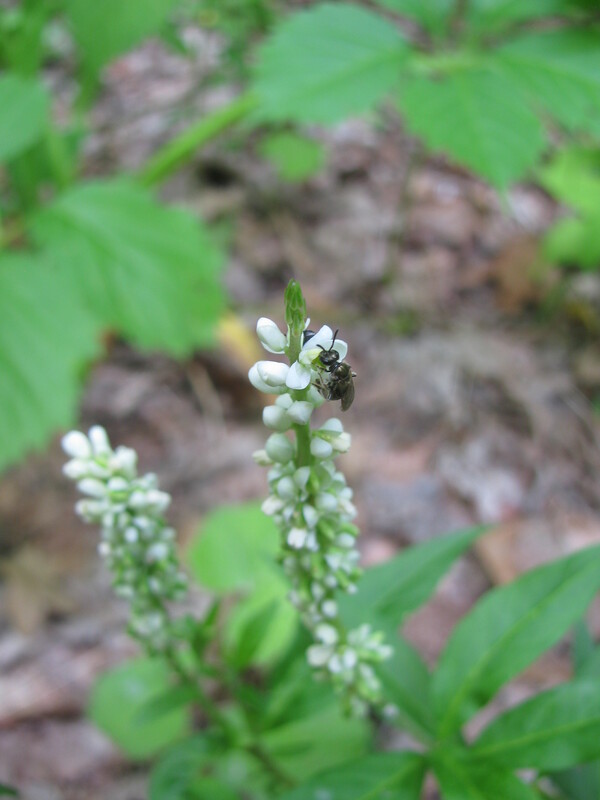 Similar to other milkworts, Seneca snakeroot has large lateral sepals and a fringed lower petal that folds around eight stamens (male parts of the flower that hold pollen). The sepals stay wrapped around the fruit as they develop. This milkwort is identified by its wide leaves and its tall spire (inflorescence) of white flowers. It grows in tight bunches with many floral inflorescences. There are two varieties (below species and subspecies, usually morphologically distinct) of Seneca snakeroot: Polygala senega var. senega has thinner leaves while Polygala senega var. 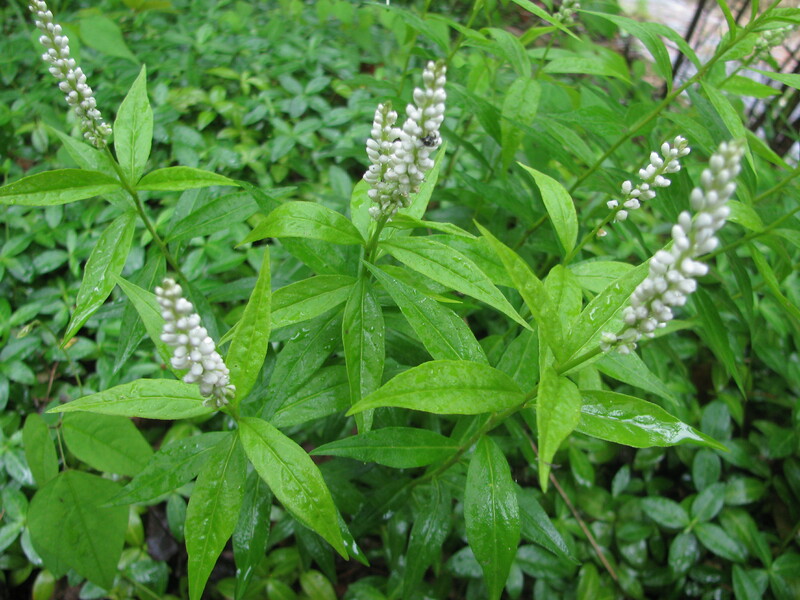 latifolia has broad leaves (USDA Forest Service: Seneca snakeroot). 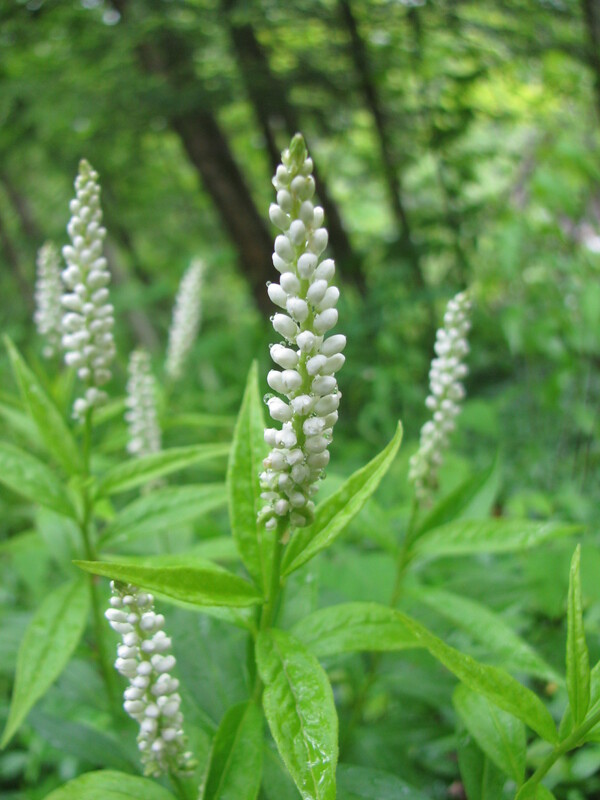 Seneca snakeroot is found in the US from Maine down to Georgia and west to Wyoming, and throughout Canada. Native peoples, including the Seneca, used the roots for rattlesnake bites (hence the common name), insect stings, respiratory problems and other aliments. Seneca snakeroot is still collected for its medicinal root, which is used to treat respiratory issues such as colds and asthma. Manitoba is an important exporter of these roots, which take about five years to grow large enough for harvesting (Turcotte, Towards sustainable harvesting of seneca snakeroot, Polygala senega L., on Manitoba Hydro rights-of-way, 1997).